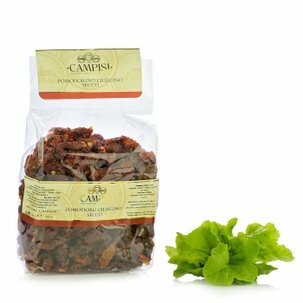 These Pezzetti di Acciughe Speziati from Campisi have a decisively Mediterranean flavour because the anchovies are enhanced with fennel, red pepper, red chili and juniper berries. Ingredients Anchovy fillets in salt (Engraulis encrasicholus) (anchovy fillets, salt), sunflower oil, fennel seeds, juniper berries, pink pepper, red chilli pepper. 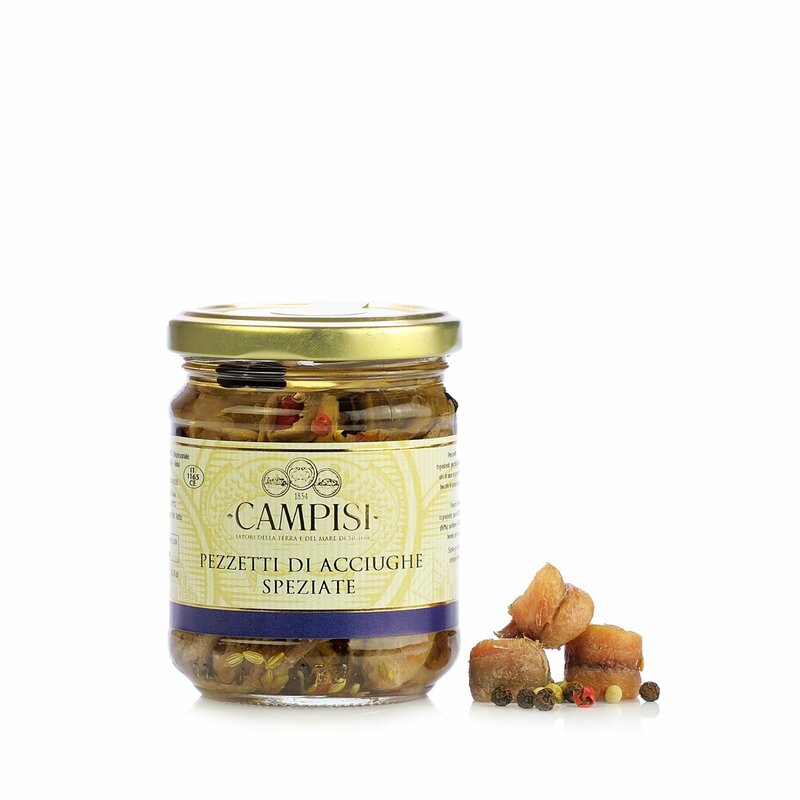 ALLERGENS: This product contains fish (anchovy). For more information on product labels, please contact our Customer Service department. The information on the labels of the products may vary for reasons beyond our control, therefore, there may be discrepancies between the information on the site and that on the products delivered. Please always check the information on the product before consumption or use.